We help make things, and we help make things happen. Apps, Sites, Campaigns, Projects. Web & Mobile...and more! Bring us your challenges, problems, and ideas. We will help identify and build solutions. 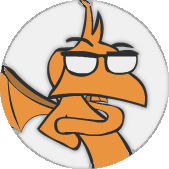 Nerdy Dragon is a connector and collaborative agency focused on digital asset design, production, and management. We deliver for clients - consistently, reliably, with world class quality and super-reasonable turnaround. We have designed and developed hundreds of web and app experiences since 2009. We are a team of over 300, located on 5 continents, working tirelessly to execute on digital projects - making, doing, connecting, and thriving. We have team members located in the US, South America, Australia, Asia, and Africa. We work from the human level to understand what you need, how we can best help, get the right people involved, and execute successfully. Your needs are our needs and we position our thinking as if we are you. We're proud to serve agencies, startups, small business, and enterprise clients with the variety of challenges and opportunities that exist. We've seen quite a bit - built search engines and scraped/crawled/indexed parts of the web, created karaoke mashups with a custom built automated video processing engine, even this chatbot-driven website, and have worked with hundreds of clients to help them grow with web and mobile solutions. We approach projects as your trusted partner, as if we owned your project together. Not everything is automated, sometimes manual work is part of the shortest path to success, and we're okay with that. As we execute, we utilize an agile methodology, in close coordination with clients, with steady and sustained focus to successfully deliver, time and again. Based in Boise, working globally to get things done, we're making things, and then making things happen.